A new find in northern Alaska could rewrite the understanding experts have about dinosaurs. A recently discovered duck-billed herbivore supports the theory that a unique breed actually lived for long periods in a cold and dark environment. Research teams from Florida State University and University of Alaska Fairbanks are behind the amazing discovery of the previously unknown species, which was found in one of the most inhospitable places on the planet and hundreds of miles from where the dinosaurs were believed to have lived. The discovery was made at a geological formation in northern Alaska, known as the Prince Creek Formation. What is immediately peculiar about the find is that the formation was deposited on an Arctic coastal flood plain. This means the animal lived as far north as land existed 69 million years ago, in the late Cretaceous period. Named Ugrunaaluk kuukpikensis – or ancient grazer of the Colville River, the gigantic duck-billed species was a massive 30 feet (9 meters) and mainly ate leaves. The team added that the herbivore had hundreds of teeth that helped it chew through vegetation. Its closest relative today would probably be the unassuming and cuddly-looking platypus. The animal was a variety of hadrosaur that lived in the late Cretaceous period, when the Earth was warmer, and what is now Alaska, was covered in trees. However, that doesn’t mean the place wasn’t cold. The region used to be further up north than it is now. The discovery was detailed in Tuesday’s issue of the journal Acta Palaeontologica Polonica. This makes it the fourth species found that is unique to northern Alaska, and supports the long-held theory that there is a unique group of Arctic-based dinosaurs that lived in far more inhospitable conditions than textbooks would have us believe. Common theories always supported the view that the animals lived in tropical-like conditions. “What we’re finding is basically this lost world of dinosaurs with many new forms completely new to science,” Erickson mentioned in a statement. The Prince Creek Formation holds many secrets and is key to discovering this new lost world of dinosaurs scientists speak of. 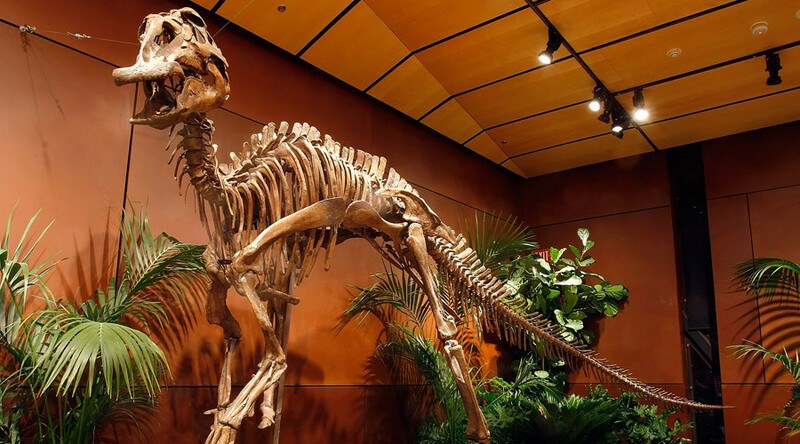 Since the 1980s, paleontologists have analyzed more than 9,000 bone fragments from various animals excavated there. Digs continue in this very hard-to-reach site. Erickson and team believe the formation will reveal at least 13 different species of dinosaur, based on tooth fragments and other bone material. The figure does not include ancient birds, small mammals and some fish. This duck-billed herbivore is believed to be related to other finds in North America, which have occurred in Alberta, Montana and South Dakota.